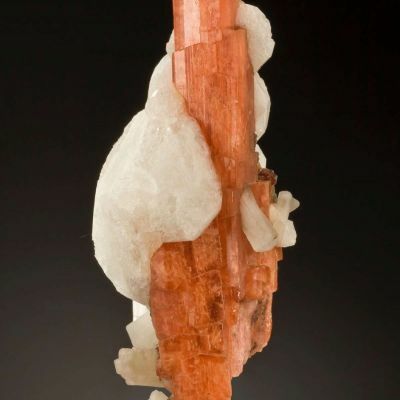 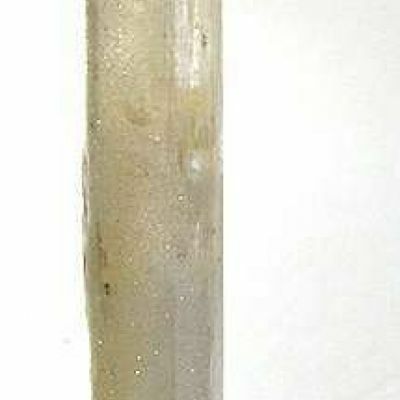 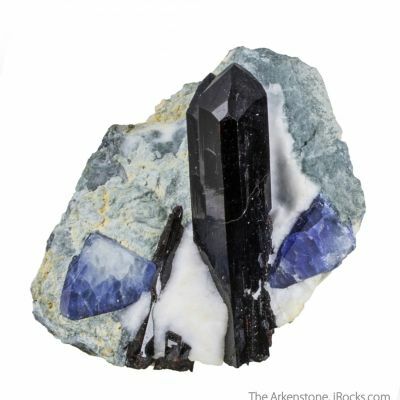 A very aesthetic and fine cabinet combination specimen from the Dallas Gem Mine. 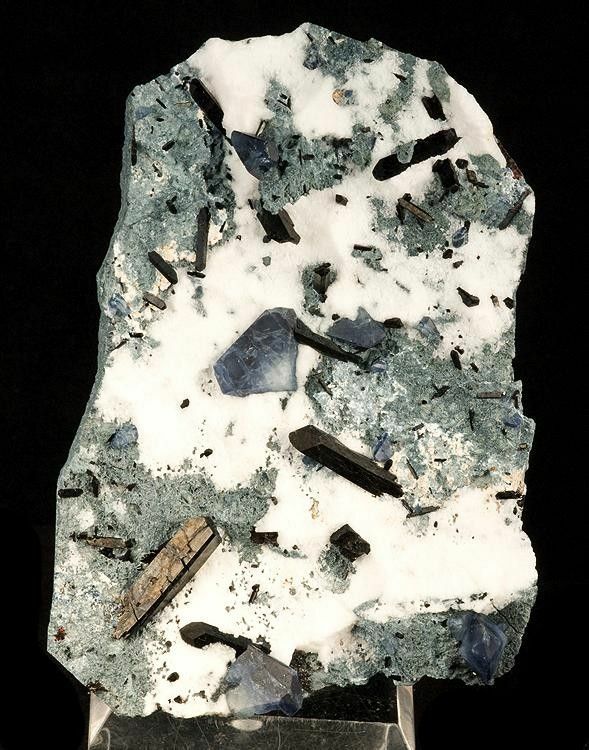 Well-placed, beautifully isolated benitoite and neptunite crystals are scattered on the serpentine matrix partially coated with starkly contrasting, snow-white natrolite. 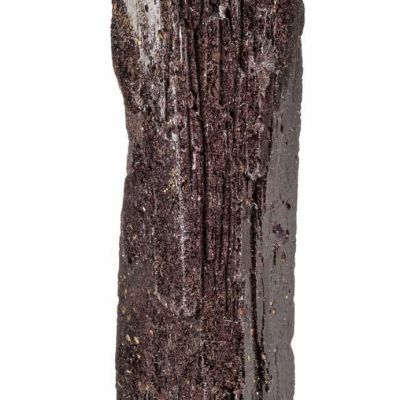 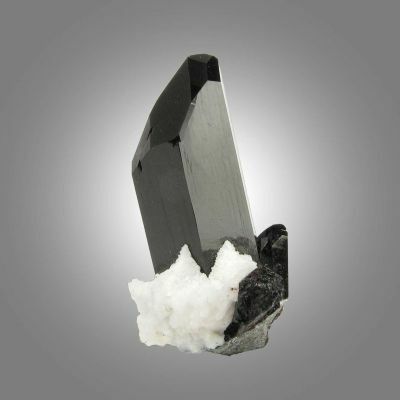 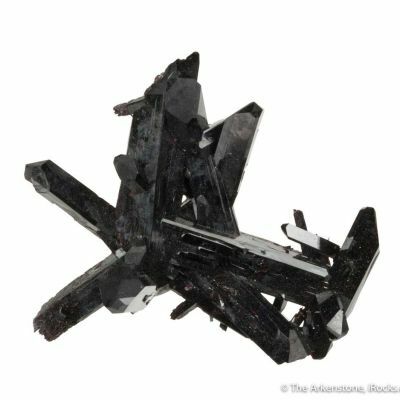 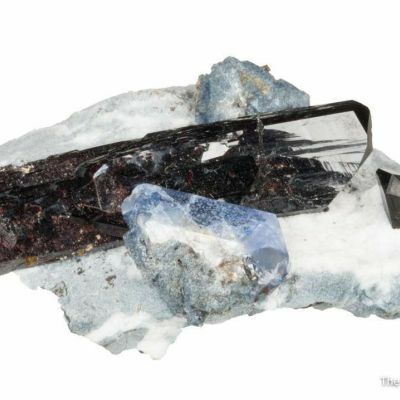 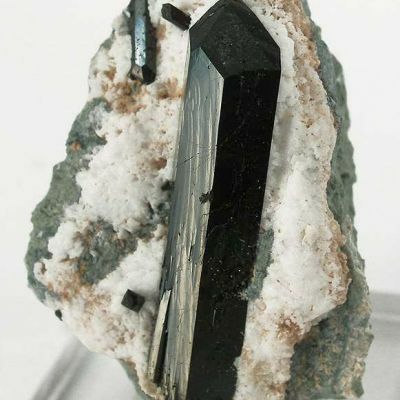 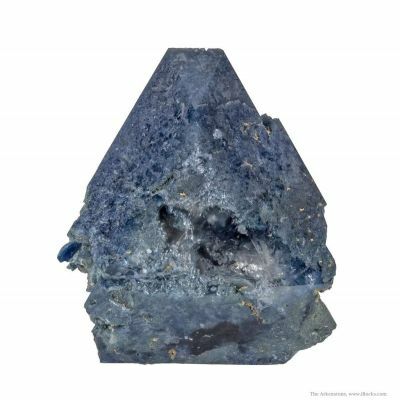 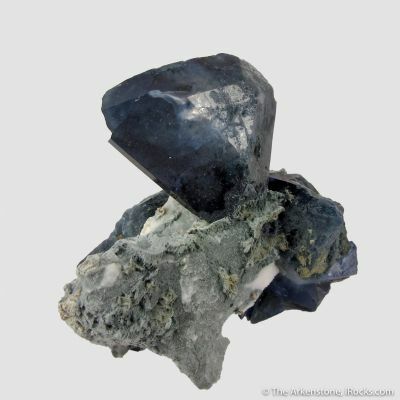 The lustrous, partially gemmy, indigo-blue benitoite crystals reach 1.7 cm and the lustrous, jet-black neptunite crystals reach 2.4 cm. 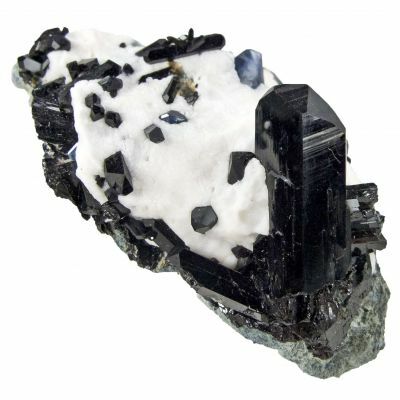 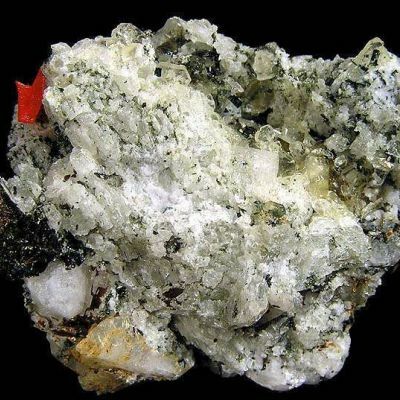 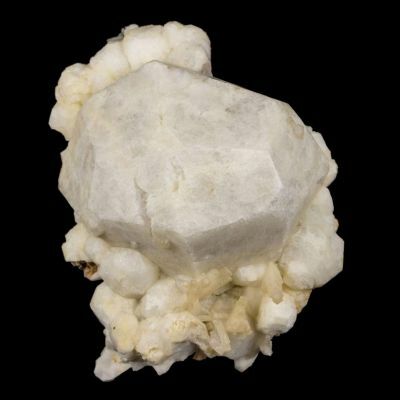 This is a beautifully prepared specimen, with the large benitoite crystal claiming front and center on the contrasting natrolite. 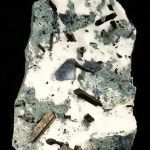 And it looks like that all of the neptunites are pointing to the large benitoite. 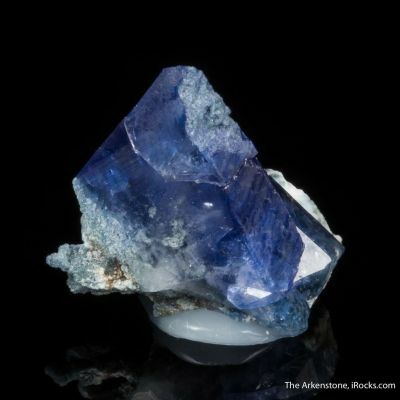 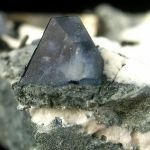 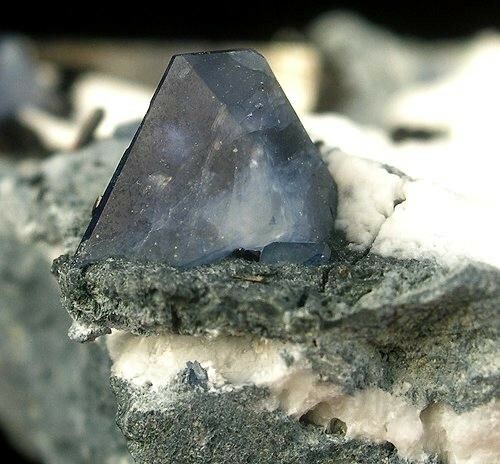 The 1.2 cm, upright benitoite crystal perched on the edge is a nice bonus.